If you live in the Pacific Northwest, you’ve probably had a sugar ant problem at some point. Ants love cool, dark, moist, wooded areas to make a nest and start a colony. They are more common in older homes because there are more moist areas, as well as easier access for getting in from the outside. It’s not just the habitat, but certain seasons as well. We’re heading into spring time now, high season for ants. See, the queen lays her eggs during the cold winter, and then they hatch, mature and go to work in the spring. Are they really that much of a problem? There’s a lot of fuss over an insect that’s altogether harmless. As you probably know, sugar ants can bite but they don’t cause pain. They’re just a major nuisance. Their hygiene can be an issue, though. Think about it: where do you commonly see sugar ants? Besides piles of food, you see them crawling through bathrooms, dirty sinks and garbage bins. They will eat literally anything to survive (they’re also attracted to surgical wounds!) So when you see one traipsing along your Pop Tart, or floating in your water glass, you may be less inclined to simply pick it off. Why are they so hard to eliminate? There are dozens, maybe hundreds, of DIY tricks to get rid of sugar ants. Some of them are effective, others feel like you’re just creating more. Most people go about it all wrong – they hose down the area with Raid or other over the counter products. This is great for short-term, but there’s two problems here: One, it only kills those in the open, and the majority of ants—95% of all, on average—are at the nest or “behind the scenes”. Two, the spray could indicate a threat to the nest, which could cause them to build nests elsewhere or reproduce more eggs. Ants are quite a successful species. They’re all over the world, and are able to penetrate seemingly anywhere. They are so united in their survival that they are able to behave collectively, act in unison, in a way indicate which people consider them a “superorganism”. Is it possible to eliminate them at home? Of course. Well, sort of. Okay, maybe not so much for the last one, but the others are among the most common. And they seem to never work. On one hand, you could always just wait until next winter, when the ants go back into hiding and their numbers have most likely moved to critical mass. Or you could call an exterminator, and be proactive about the problem. 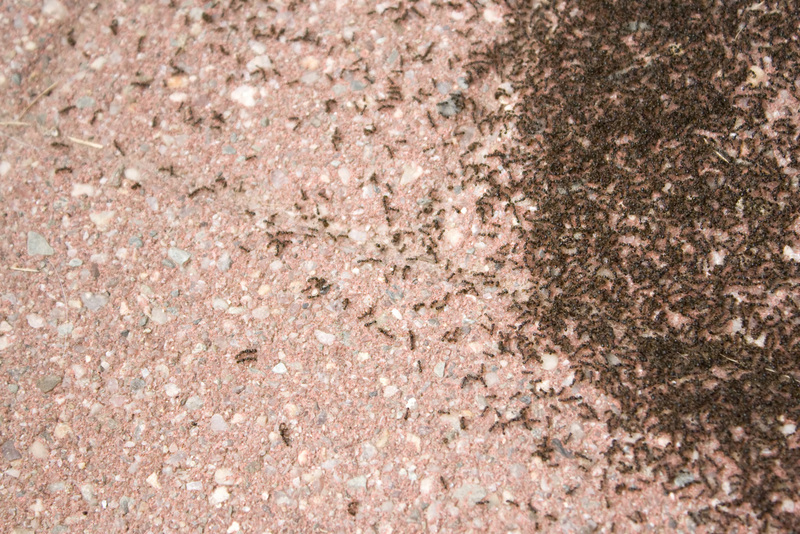 Professional pest control is best for preventing ant infestations, or for knocking down their numbers in a big way. Especially when it seems like everything you do just makes matters worse. Give us a call if you have any questions. We might have a few pointers we can help you out with too.